Usually, every week, I point the LOUIE spotlight at a special version of LOUIE LOUIE deemed worthy of greater attention. This week, however, I’m pointing the spotlight to this special LOUIE event, which spawned 23 unique versions and inspired some really wonderful LOUIE enthusiasm all around the world! 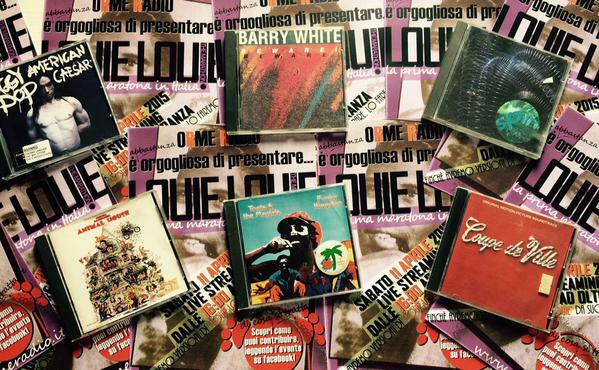 A small summary on the first Italian Louie Louie marathon….it has been a blast! We have been able to broadcast a 24-hour non stop sequence of Louie Louie covers; you can find the details here below in the infographic..
● The two live interviews with Eric and Stretch: their friendly and sincerely collaborativate support has boosted our confidence in the success of the event and increased its visibility in the worldwide community of “Louie Louie” supporters, lovers and maniacs. ● The contributions we received from musicians: we got the most diverse musical styles covered, extending the footprint of “Louie Louie” covers with a bit of Italian flavor. 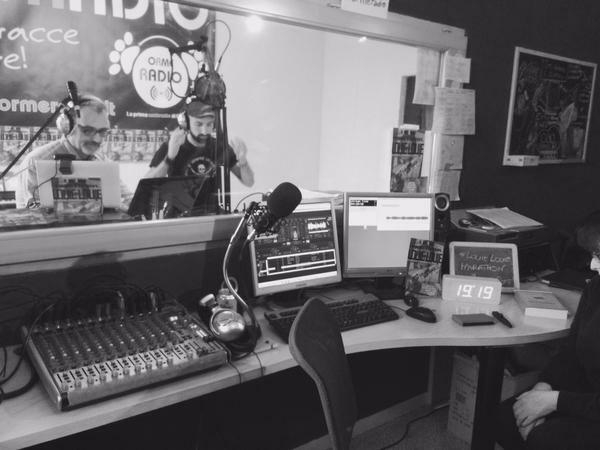 ● The radio station staff extended support: everyone has given a contribution to the event, enforced the team spirit and made this a collective success. ● The increased knowledge of “Louie Louie” story and mythology: a new generation of Italian twenty-somethings is now conscious and happily part of the “Louie” legacy. They will be carrying the torch for future generations. An enormous series of kudos for everyone who shared a thought, a listen, a word of support for this event. We are starting to think what we can do bigger and better and broader for next year. Stay tuned for updates and rest ensured we are going to “give it to them right now” for years to come! 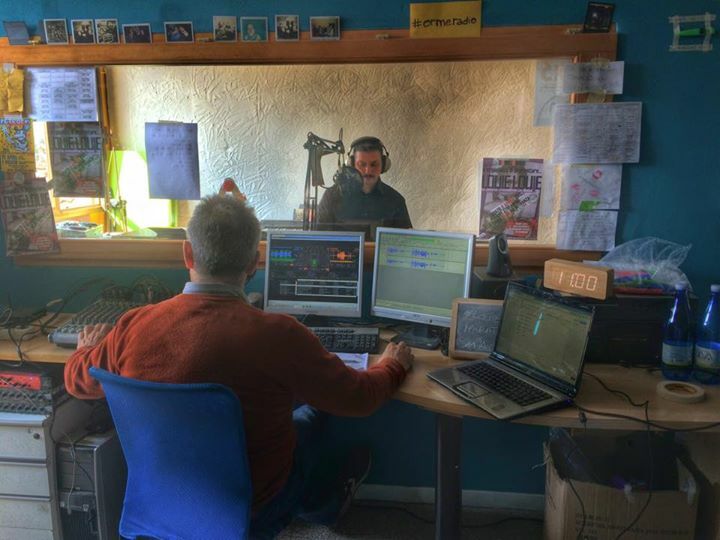 First take of “Louie Louie” by the amazing Ormeradio Kazoo Orchestra, shot during the first Italian Louie Louie Marathon, hosted by Ormeradio on April 11th, 2015…no rehearsals involved. 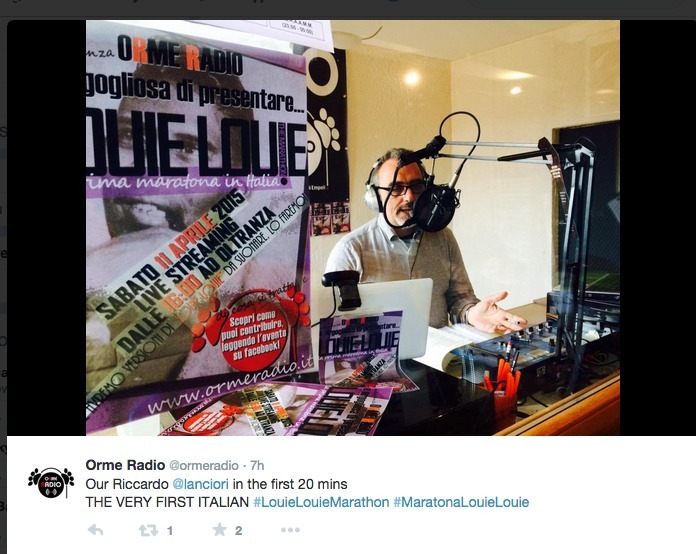 Giulia Pratelli and her ukulele play “Louie Louie” live in studio during the first Italian Louie Louie Marathon, hosted by Ormeradio on April 11th, 2015.